Over The Edge for Interfaith Human Services Inc. by Interfaith Human Services Inc.
Interfaith Human Services Inc. hasn't added a story. A number of brave Edgers will have the opportunity torappel down Hyatt Place/Fraser Centre, in exchange for donations back to the amazing local non-profit organization, Interfaith Human Services Inc. Experience the once-in-a-lifetime opportunity to rappel down Hyatt Place/Fraser Centre! About Interfaith Human Services Inc.
Interfaith Human Services, Inc. (IHS), a registered non-profit organization in Centre County, Pennsylvania, is a long-standing collaborative effort of faith communities whose purpose is to address many unmet social and economic needs for low-income residents. 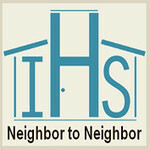 IHS began in 1968 when four congregations in State College, PA joined resourced to more effectively assist people in the community who were in need. Little did those dedicated people know that they were creating a grassroots organization that would grow into a diverse human services agency, assisting hundreds of people in Centre County each year who face a multitude of basic needs. Through our programs and services hundreds of families receive assistance to stabilize their resources so they can use their income for other essential needs. Our hope is that someday everyone will have a safe place to live, food to eat, clothes to wear, affordable health care, reliable transportation, friends to support and encourage, and the realization that they lack for nothing. We invite you to join us on the journey. Please explore our site to learn more about the unique and caring ways that hundreds of people work together through Interfaith Human Services to help hundreds more. Interfaith Human Services Inc. hasn't posted any updates yet. Interfaith Human Services Inc. is managing the funds for this campaign.